As a Toronto transplant, a few of my favourite things about West Coast living are the proximity to the mountains, the ocean and the scattering of islands just off the coast that produce a plethora of unique and diverse treasures with a distinct island vibe. This island vibe is brought to the mainland with the second annual Salt Spring in the City event, returning to the Vancouver Heritage Hall March 27 to 29th. Visitors will get to experience food and fashion, paintings and pottery, wine and crafts, all woven together with it’s one-of-a-kind, handcrafted, West Coast flavour. Admission is $3 for adults, and $1 for kids — with partial proceeds going to Save-On-Meats’ Sandwich Token Program. The first 25 people through the door everyday will get an awesome gift bag filled with Salt Spring Island goodies and free coffee will be provided by Salt Spring Coffee for the duration of the event. 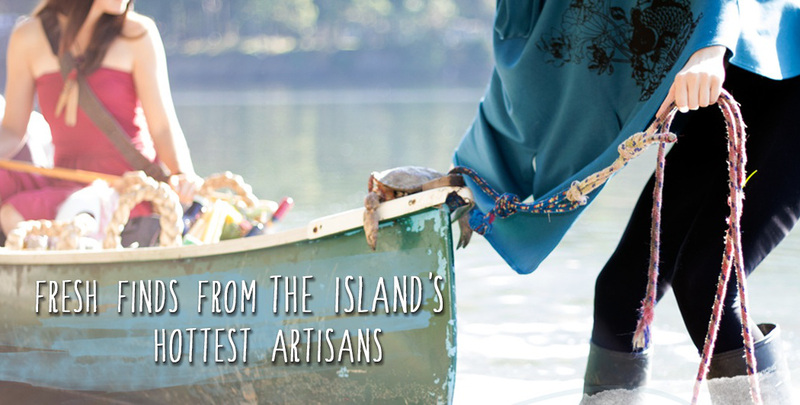 One lucky person will get a special Salt Spring in the City experience when they win the fabulous giveaway below from participating Saltspring Artisans, PLUS two tickets to the event! Prize basket includes a variety of products including Alvaro Sanchez sterling silver earrings, Lee Ann Norgard mug, Apple Chutney, Bruce Coney Cruet Bottle, Big Bear and Wolf Art Print, 6 Sasspot Shot Glasses, Monsoon Coast Spices, Salt Spring Kitchen Co. Jam, Salt Spring Cheese, Salt Spring Key Chin and Love Heart Ulrieke Benner, Wall Hanging trust print Harosef, Salt Spring Ales Beer, Salt Spring Coffee and Tavel mug. Phenomena, do do do do do…..